I want to thank everyone who has supported Street Church in 2006. Here is a look back at what God has done through the ministry in 2006! 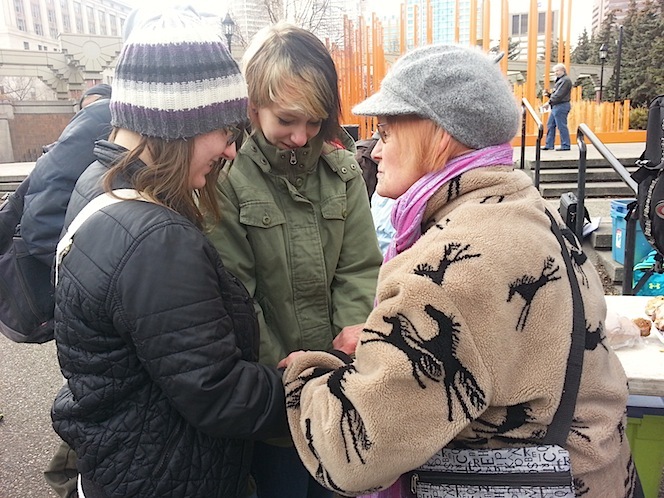 Street Church was very blessed by God to see His powerful redeeming work in so many live’s. In 2006, we were able to witness 606 decisions for Christ, and 130 baptism’s in the Bow River, we also have been blessed to have much more follow up, with Bogden, and Eric leading weekly discipleship/Bible studies, and CSC bringing over 20 street guy’s to camp twice last year. We have seen God continuing to work through Daniel Howard in Africa, Daniel led 2 missions teams from Street Church in 2006 to Africa seeing over 400 decisions for Christ, and helping a church plant, which is opening up this spring, Daniel has also felt the calling from God to go into full time evangelism, he has decided to leave for Africa in April, 2007 and spend one year there. He plans to come back and continue to be full time in the Lord’s work, to evangelize and raise up evangelists. Street Church also saw a huge opening at Drumheller Prison; we have been sending a team up there once a month, where there has been a huge response to the Gospel, Chaplin Ed stated it has been like a mini revival in the Prison! God is raising up the ones who have been saved through the ministry, making them into preachers, like Louis, David, and Maurice. The vision God has given us from the beginning is coming to pass, to see many people saved, and then see them go out and save others through the preaching of the gospel, and their witness. Live life in light of eternity, preach the Gospel! support the Gospel! Heaven or Hell are at stake! God Changes Lives at Street Church. May 7, 2015 Artur Pawlowski Comments Off on God Changes Lives at Street Church.